Welcome to the Mohave Band page! All Events for the 2018-2019 School year are available on the Events Page. Congratulations on a fantastic second quarter concert! 2/9 Parada del Sol Parade. Plan for all morning until noon. Required for 8th grade. 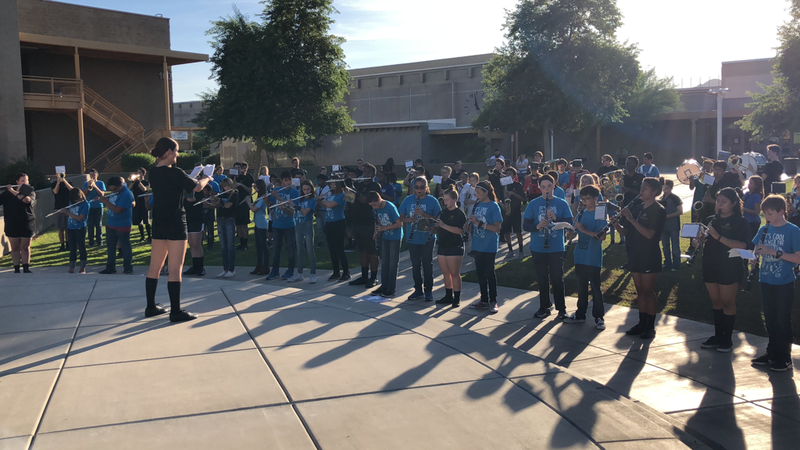 3/7 8th grade and jazz band concert at Saguaro HS. 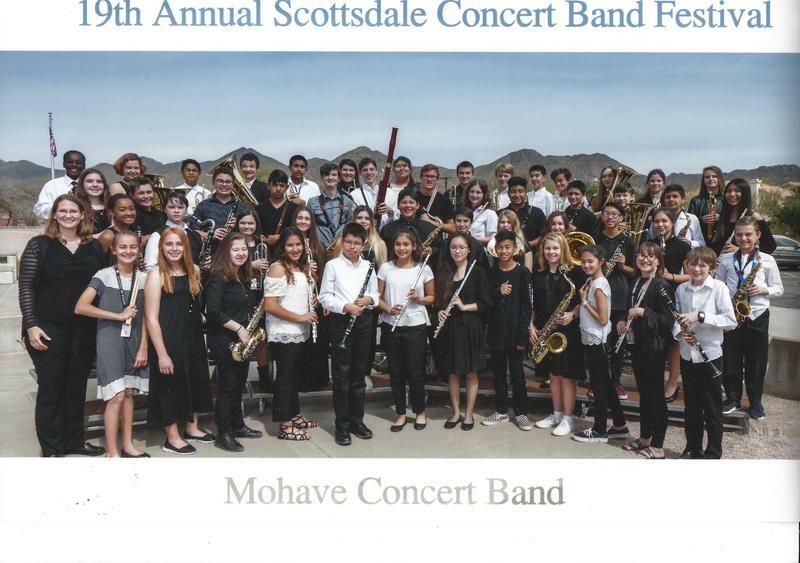 The Mohave Middle School Band is an award-winning group comprised of talented 6th, 7th, and 8th grade students under the direction of Mr. Alejandro Estrella, The band received Superior ratings at the 2017 Disneyland Music Festival,the 2017 Prescott Christmas Parade and the 2018 Scottsdale Band Festival. Mohave Middle School is a public school in the Scottsdale Unified School District located in Scottsdale, Arizona. 2018 Parada del Sol Parade!